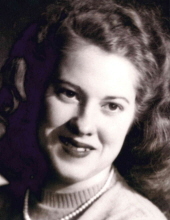 WHITESIDE, Yvonne Marie (née Lavoie)... Peacefully reunited with her husband on Friday, February 1st, 2019 at the age of 88. Beloved wife of the late Robert Ferguson Whiteside for over 62 years. Yvonne will be lovingly remembered by her children; Christine Maroney (Rick), Mike Whiteside (Jody), Steve Whiteside (Carolyn), Richard Whiteside (Patricia) and Bonnie Paul (Rodney). Proud grandma to Natasha, Patrick, Katie, Mitchell, Jordan, Kelly, Adam, Cory, Kaila, Shane, Justin, David, Kayla and the late Carrie Whiteside. She will also be truly missed by her many great grandchildren. Cherished sister of Marie (late Archie) Ross and Jeanette (Merlyn) Sauntry. Predeceased by her parents Edgar & Marieanne Lavoie (née Marcoux) and her 3 brothers and 3 sisters. A special thank you to all the staff and volunteers at Crown Ridge Retirement Home and the Trenton Memorial Hospital - Emergency Department for all their care and support. A Celebration of Life will take place at WEAVER Life Centre - East, 29 Bay St. Trenton on Saturday, March 2nd, 2019 from 1-4 PM. Inurnment will take place in the Spring. In lieu of flowers, a donation may be made to The Lung Association. "Email Address" would like to share the life celebration of Yvonne Whiteside. Click on the "link" to go to share a favorite memory or leave a condolence message for the family.